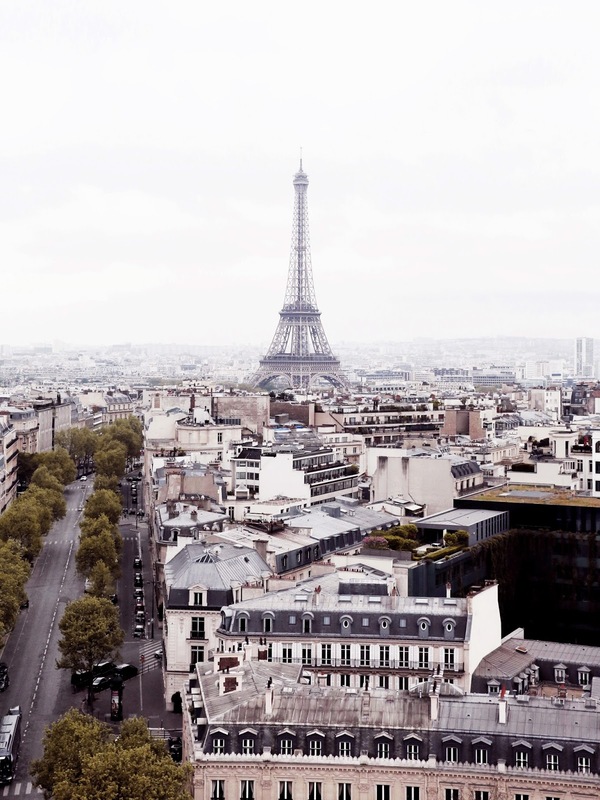 I may not be experienced enough to give a complete travel guide to Paris since I've only been to Paris twice and with a total stay of less than a month, but I've found that when you travel to a new city in a short amount of time, you make more of an effort to pick and plan the best places to visit. 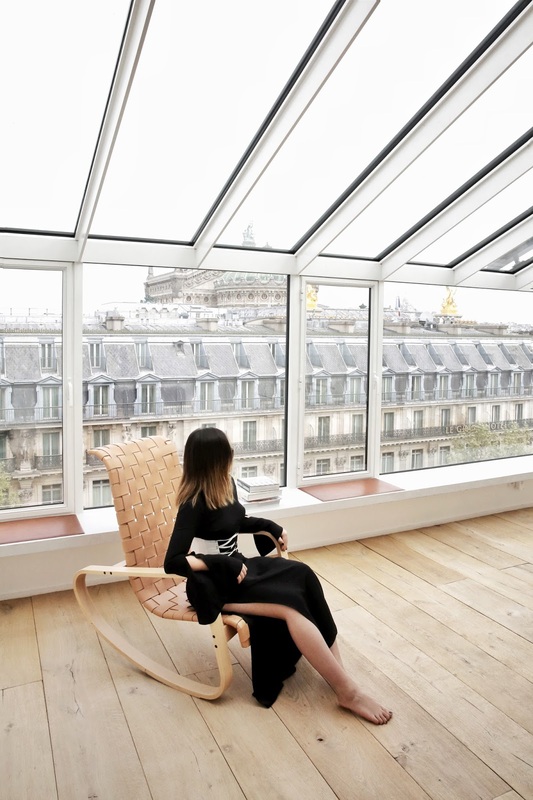 For someone like yours truly, Paris is the perfect destination not only to explore, but to create contents that take your Instagram and blog to the next level.. I've included 13 locations below that I visited during my 7 days trip to Paris this April. And they are highly recommended for either first time visitors or bloggers/Instagrammers who are scouting for the perfect shooting spots. 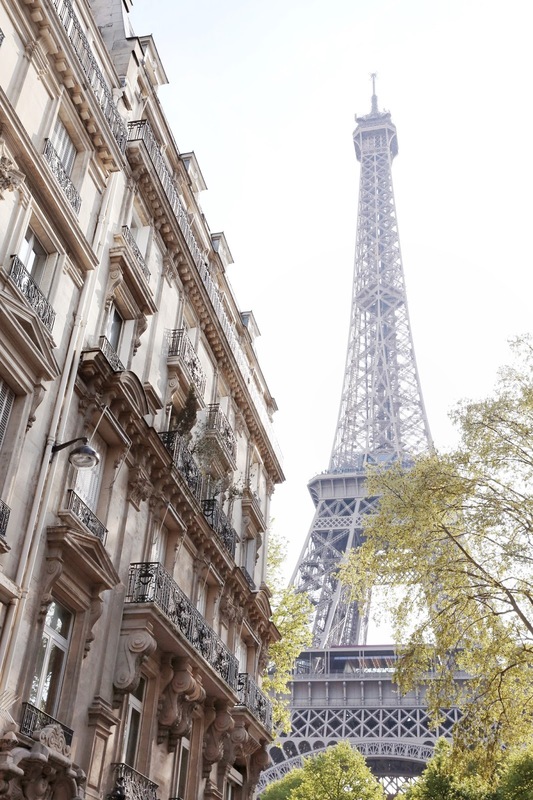 No trip to Paris is complete if you don't see the iconic Eiffel Tower and breathtaking Paris rooftops from above. 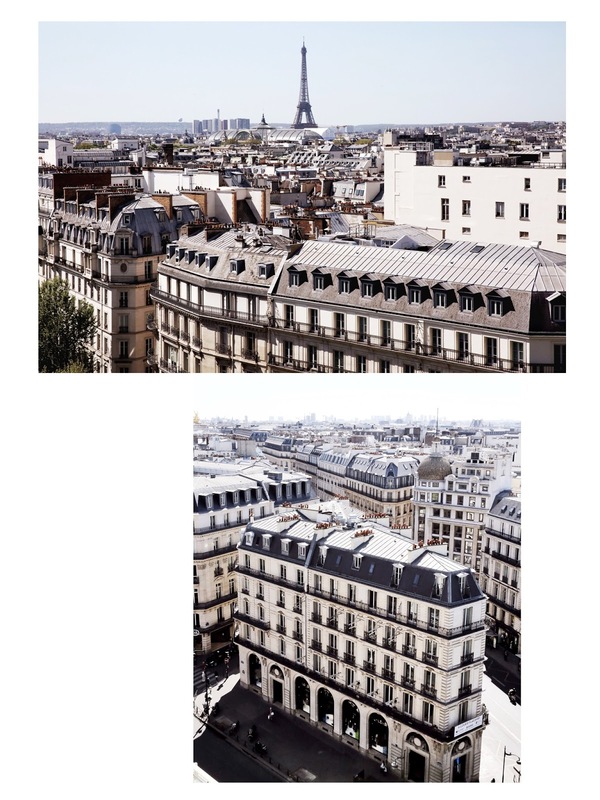 There are numerous tourist spots or rooftop bars that offer spectacular views over the city, or you can always climb to get to the top floor of your Paris Airbnb like what I did here... Below are some of the must-visit spots to get that obstructive view of the city and the Eiffel Tower. 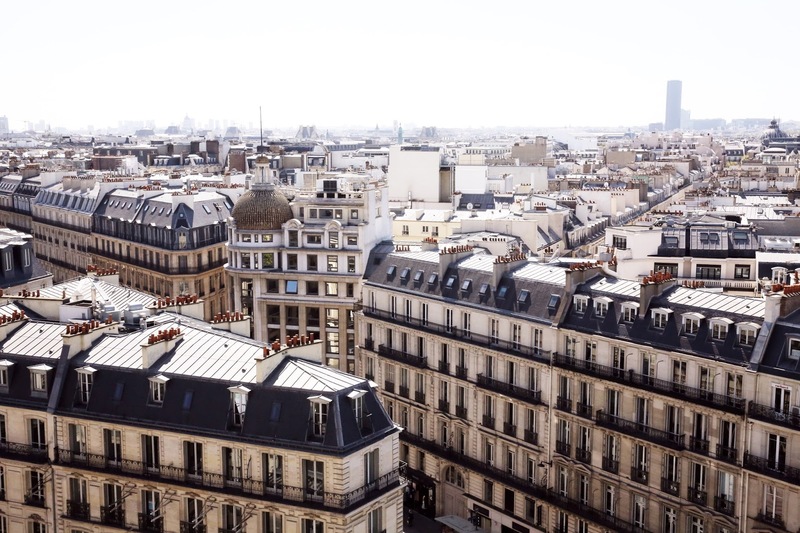 The famous French department store Printemps not only carries the latest contemporary and luxury brands but also has the best views of the Parisian rooftops and Eiffel Tower. located on Boulevard Haussmann in the 9th arrondissement of Paris along with other well-known department stores like Galeries Lafayette. 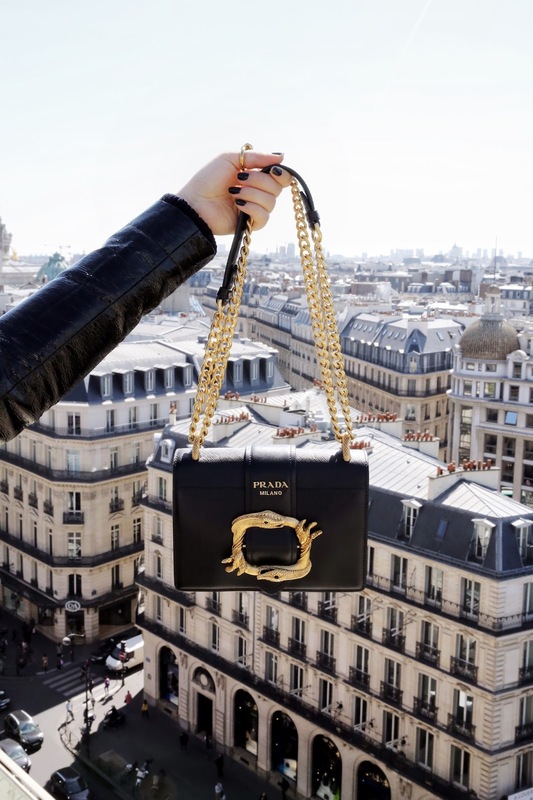 A MUST-VISIT place in Paris for fulfilling all of your shopping addictions as well as getting the most Instagrammable pictures. The most famous monuments in Paris, standing at the western end of the Champs-Élysées at the center of Place Charles de Gaulle, Arc De Triomphe is another Must-Visit place. 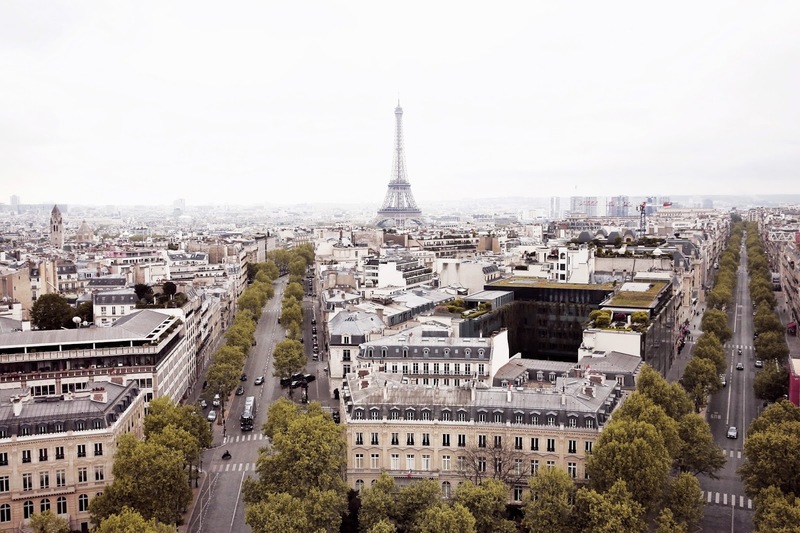 Climb to the top via 284 steps to the viewing platform and you can have best views of the famous Champs-Élysées along with 360 degrees of panoramic views of Paris. Yes it's definitely worth the climb and it's not as scary as it sounds. Situated directly across river Seine from Eiffel Tower, this open space garden is the most popular viewing point of the Eiffel Tower. And yes if there's a place to get the unobstructed shot of the Tower, this is it. It's also known for catching the light up of the Eiffel Tower at night. 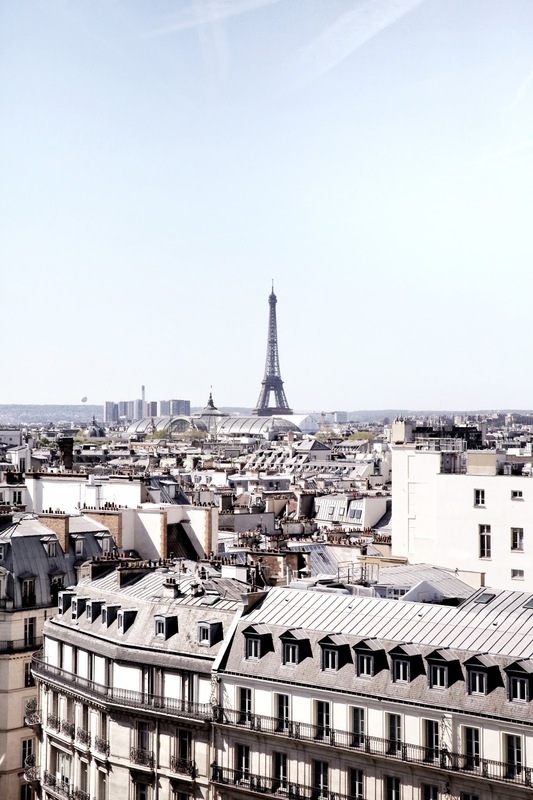 There's no doubt that Paris has the most incredible architectures in the world and offers the prettiest backdrop for photographers, bloggers and creative. Check out below to find out where I visited and got all my shots. These spots are not only great for tourist or visitors, but also work perfectly as shooting locations for bloggers/Instagrammers like yours truly. If I had to pick one of best shooting locations in Paris, Palais-Royale would be on the top list. 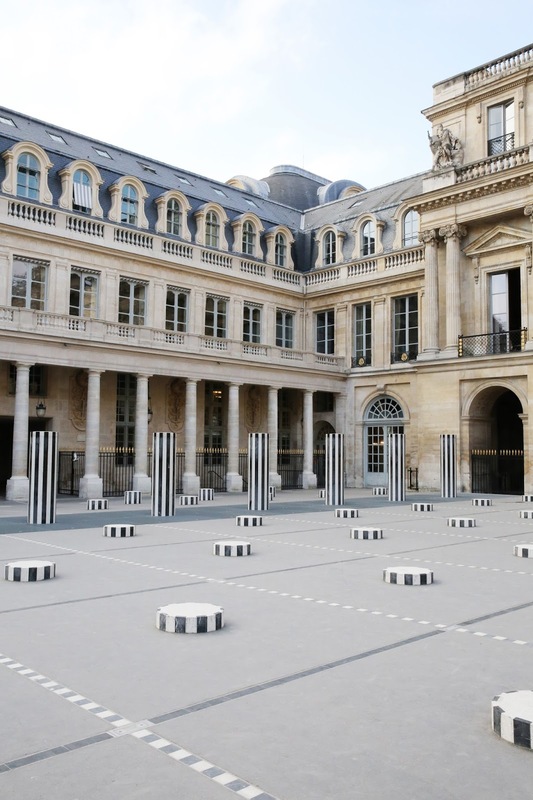 This Palace and gardens with 17th-century arcades of shops and Daniel Buren's striped columns in courtyard offers the most remarkable backdrops for your creative shoots. For more pictures check out here and here. 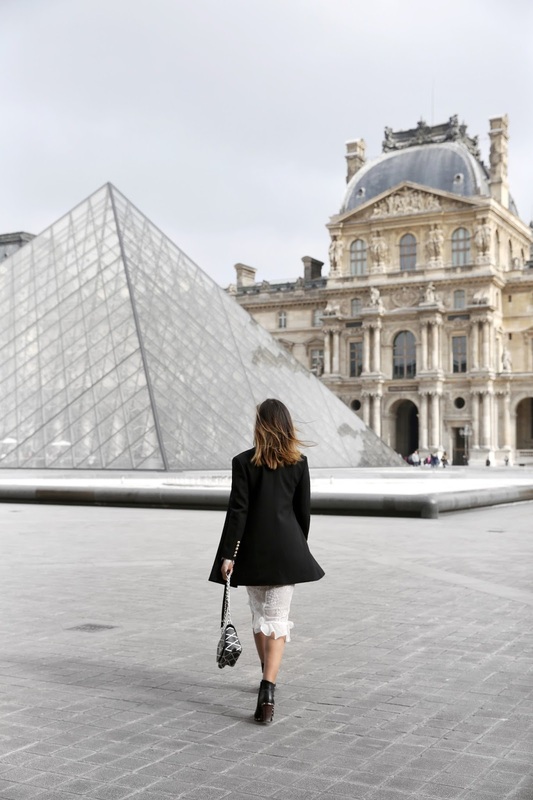 The Louvre is the world's largest museum and a historic monument of the city. And obligation stop on any visit to Paris. 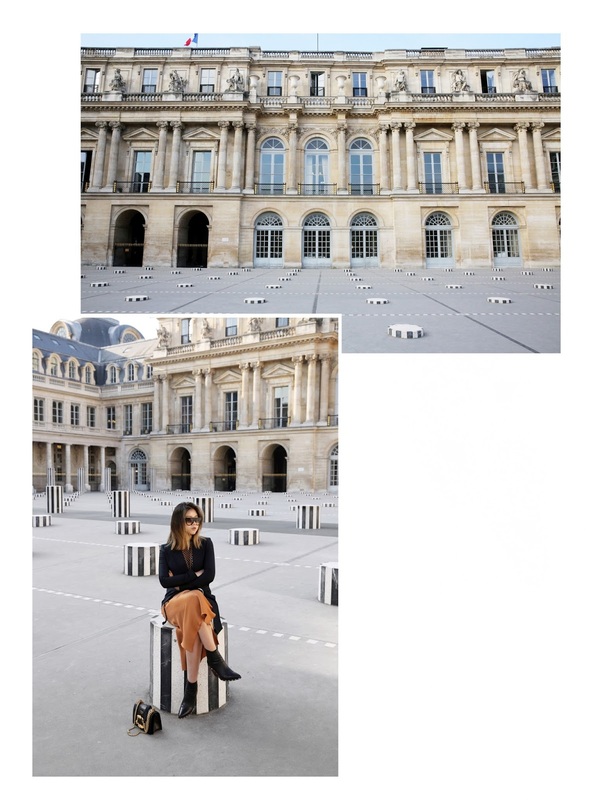 Not only to its extensive art collections but to the historic building itself, which offers the perfect background from magazine worthy editorial shoot to effortless Instagram snap. Check out more of my shoots here. Paris’s most elegant, grandiose, and sumptuous bridge. The Pont Alexandre III is more than just a river crossing, dressed up with its exquisite art and with views of the Eiffel Tower, it's one of the most beautiful and romantic bridges in the world. Click here to view more pictures. 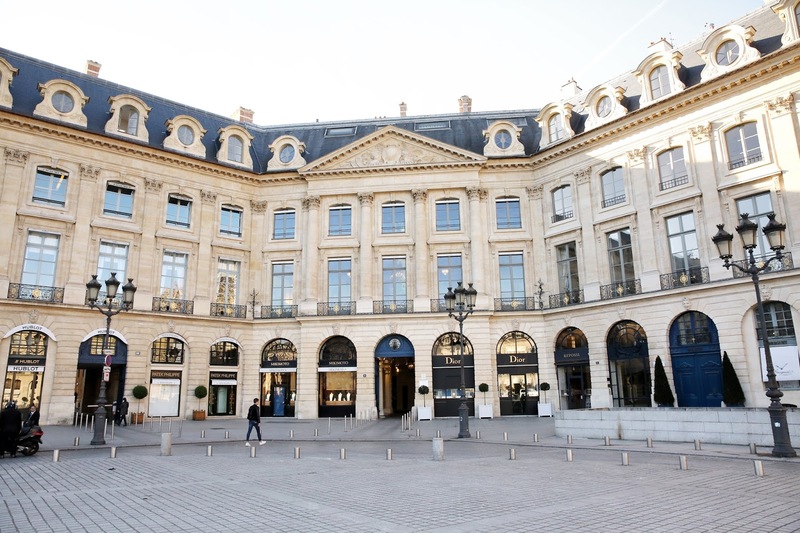 Situated in the First Arrondissement of Paris between the Tuileries Garden and the Palais Garnier (will be included later), the upscale square provides a base for renowned and luxury establishments such as the Ritz, Cartier, Dior, et. 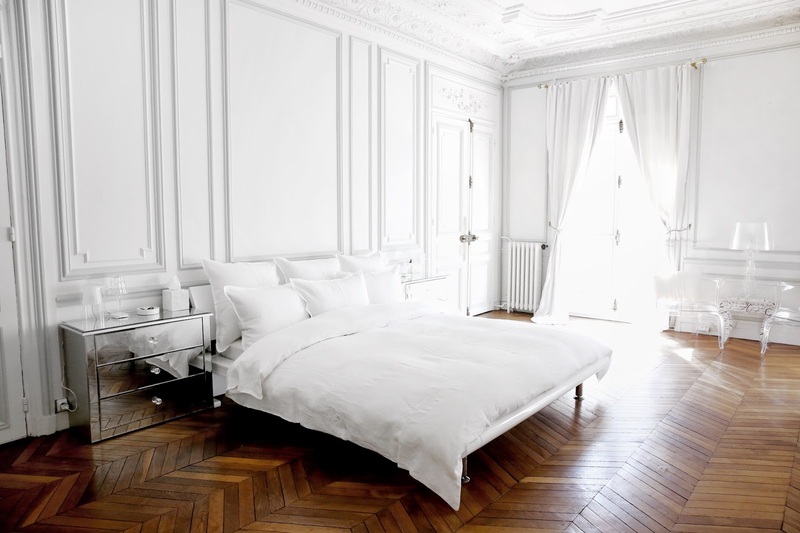 It's a magnificent example of the neoclassical architecture in France. 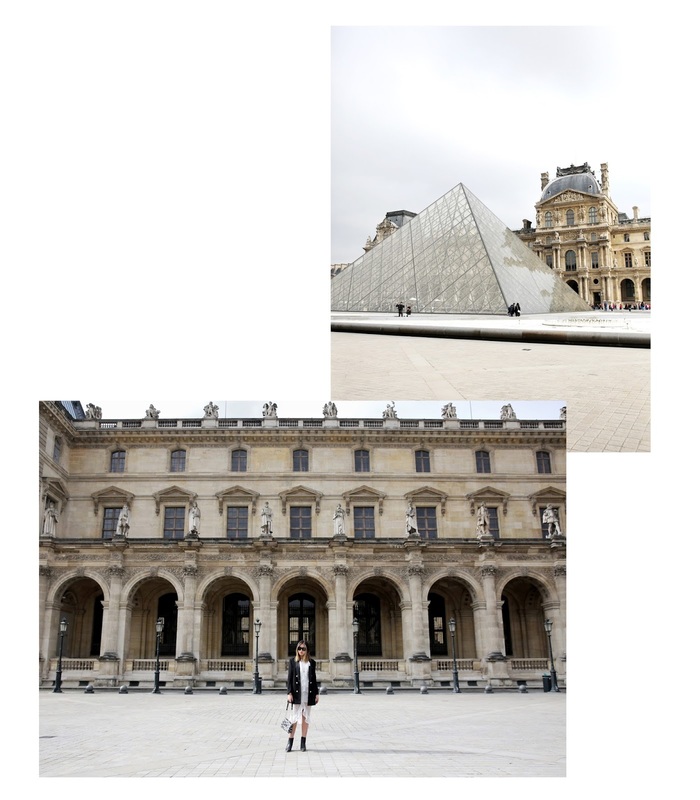 And is one of the most popular shooting locations in Paris for fashion bloggers and photographers. The Palais Garnier is a building of exceptional opulence, with features like very elaborate multicoloured marble friezes, columns, and lavish statuary. Aka another perfect location for your creative shoots. Go around the front facade and head to the side door to avoid the crowd while snapping some pictures of this magnificent architectures. More pictures here. One end of rue de l'université leads to the bottom Eiffel Tower, and with a typical pretty Parisian building on the side of the road, it's one of my favourite places to get that local Parisian kind of shot. It's also a popular place for wedding photography, so prepared yourself for brides-to-be taking over your shooting spot :p..
No visit to Paris is complete without a visit to garden des Tuileries. The garden is the perfect place for strolling, lounging and particularly chic people-watching. 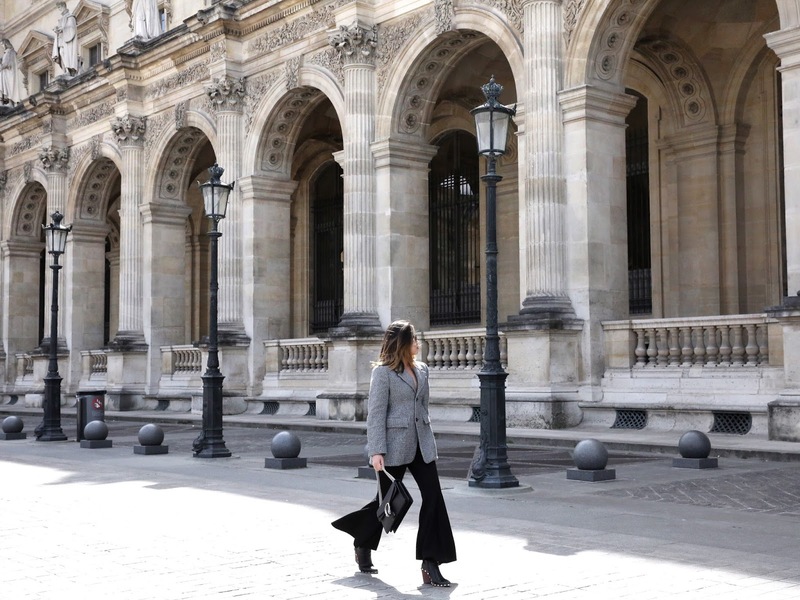 You can find streetstyle snaps from here in every Paris Fashion Week. I didn't get enough time to take more pictures here but will definitely coming back next time and just chilling on those green chairs around the fountain. 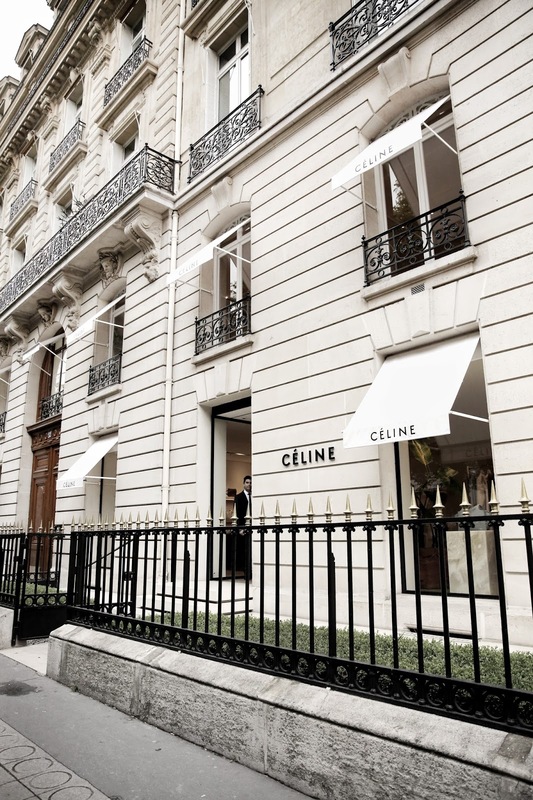 Known for its fashion industry and home to numerous prime fashion designers including but not limited to Céline, Chanel, Dior, Balenciaga, Saint Laurent, and Chloé. 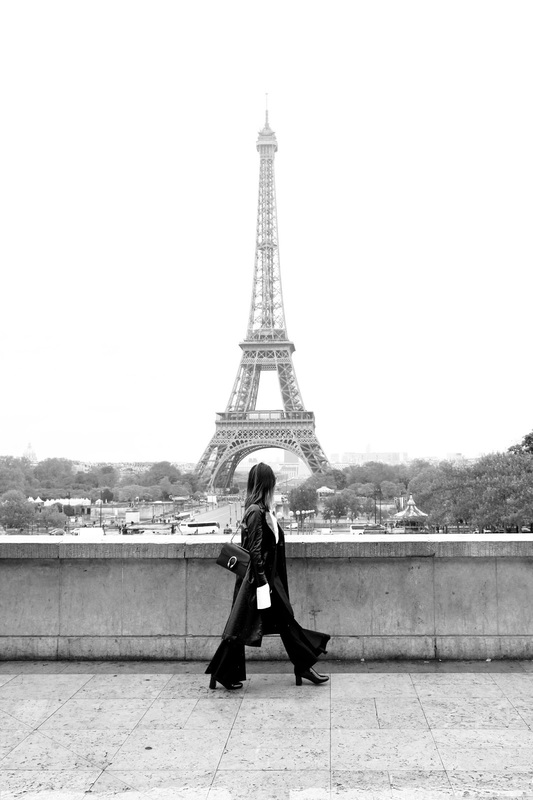 Paris is the destination to fulfill all of your shopping desire. There are many boutiques and department stores all over Paris. 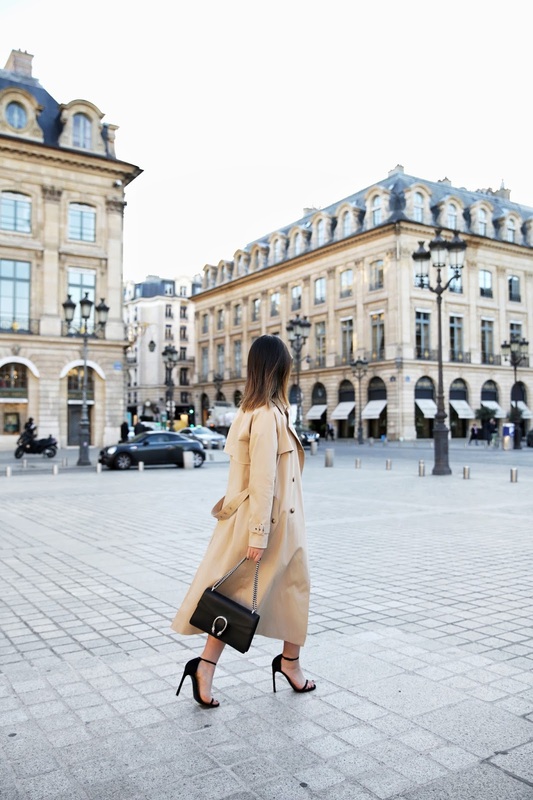 Other than Printemps, below are some of my other favourite places to shop while snapping some Instagrammable pictures along the way..
Just off of the Champs-Élysées, the fame Avenue Montaigne is the city’s focal point for high fashion and luxury goods and home to all the great haute couture stores. Whether you are into heavy-duty shopping or simply window shopping, the picture perfect storefront makes here a must-visit. Let alone the famous Hôtel Plaza Athénée that Carrie Bradshaw once stayed in is also located in the heart of Avenue Montaigne. Or the hippest corner restaurant L'Avenue where you can usually spot celebrities sipping wine and people watching in the patio. 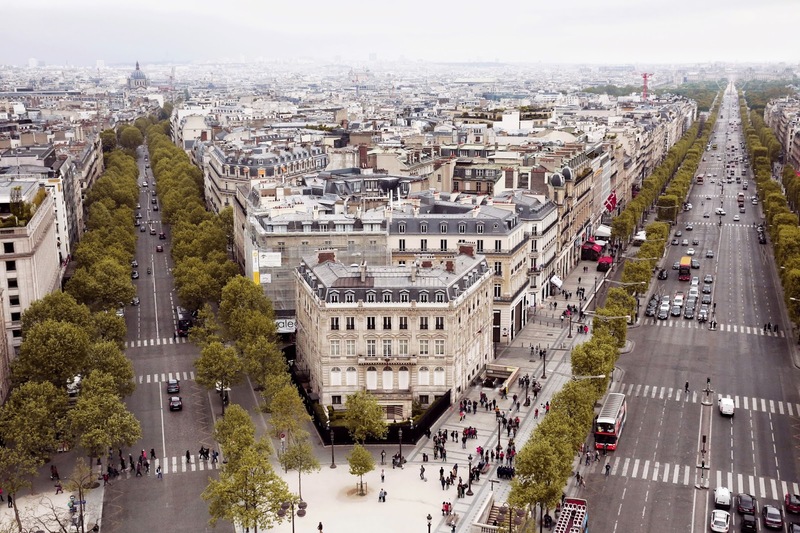 Avoid all the tourist crowd in Galeries Lafayette and shop like a Parisian in Le Bon Marché. And don't forget to take a picture of the famous escalators.. 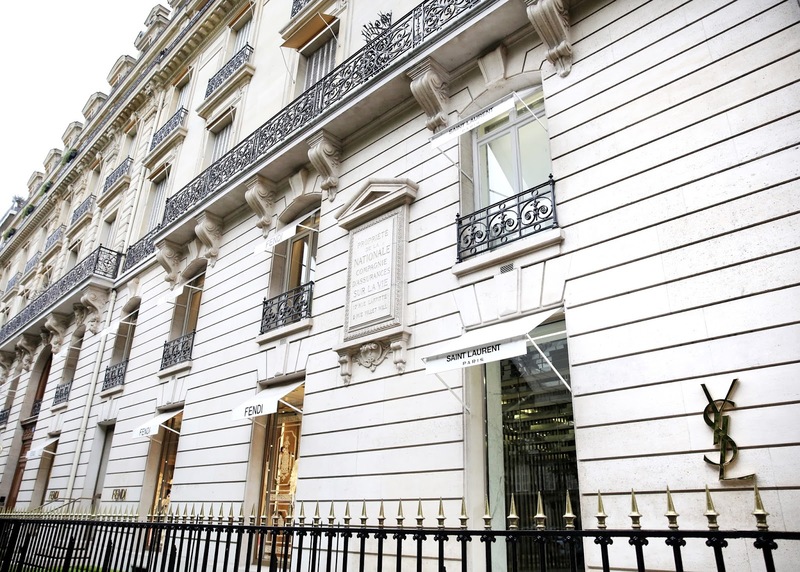 The Famous Chanel store in 31 Rue Cambon is not only the world's first Chanel boutique, but on the third floor of the building is also where Coco Chanel's apartment is. Not to mention the bright and white storefront makes this spot very Instagram worthy. If you want to truly explore Paris like a local then you need to stay in at least one Airbnb during your trip. It is also much bigger and cheaper than hotels with the same size and in the same area. If you follow me along you will remember the two gorgeous Airbnb that I stayed in, check them out here and here. I've tried many restaurants and cafés during my visit in Paris and to be honest I cannot choose some favourites. 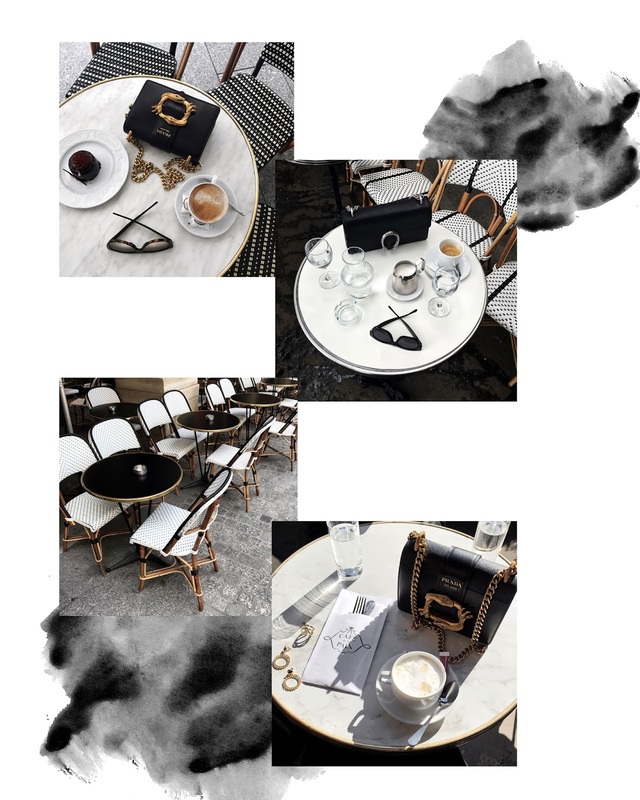 I'm literally in love with all the pretty café in Paris and they are all Instagrammable. My recommendation is to stop by and try out as much cafés as possible..